Product prices and availability are accurate as of 2019-04-24 18:17:12 UTC and are subject to change. Any price and availability information displayed on http://www.amazon.com/ at the time of purchase will apply to the purchase of this product. unless one lone Jedi, shunned and reviled, can stop it. 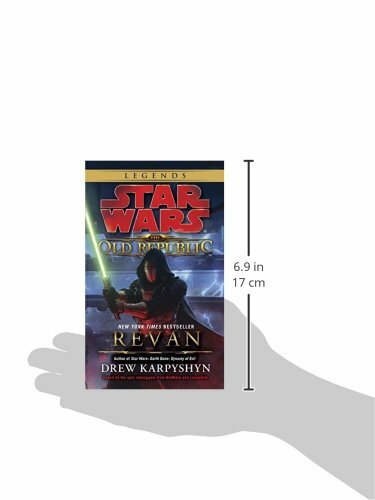 Hero, traitor, conqueror, villain, savior—the man called Revan has been all of these. He left Coruscant a Jedi, on a mission to defeat the Mandalorians. He returned a Sith disciple, bent on destroying the Republic. 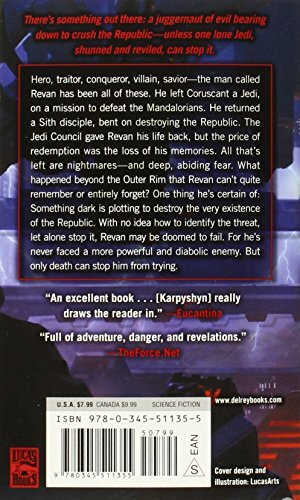 The Jedi Council gave Revan his life back, but the price of redemption was the loss of his memories. All that’s left are nightmares—and deep, abiding fear. What happened beyond the Outer Rim that Revan can’t quite remember or entirely forget? One thing he’s certain of: Something dark is plotting to destroy the very existence of the Republic. 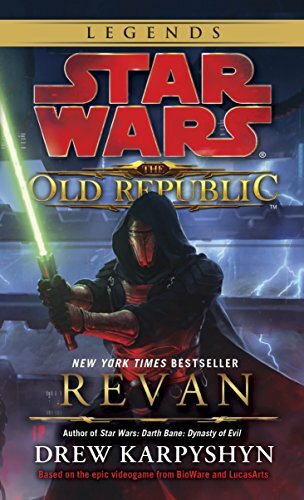 With no idea how to identify the threat, let alone stop it, Revan may be doomed to fail. For he’s never faced a more powerful and diabolic enemy. But only death can stop him from trying.